Display close-up. Graphic world clock function. Back cover removed. 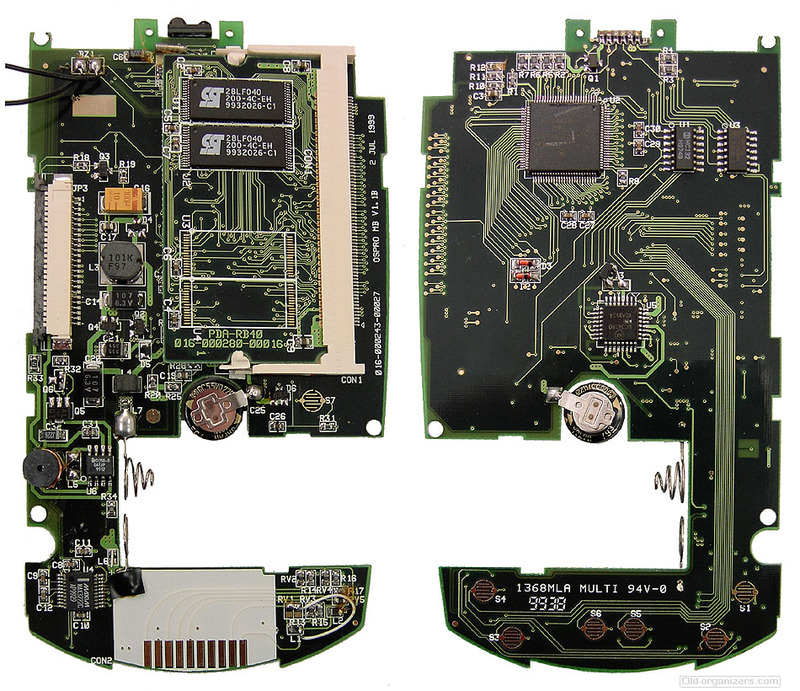 The user memory card (here 1 MB) is removable. 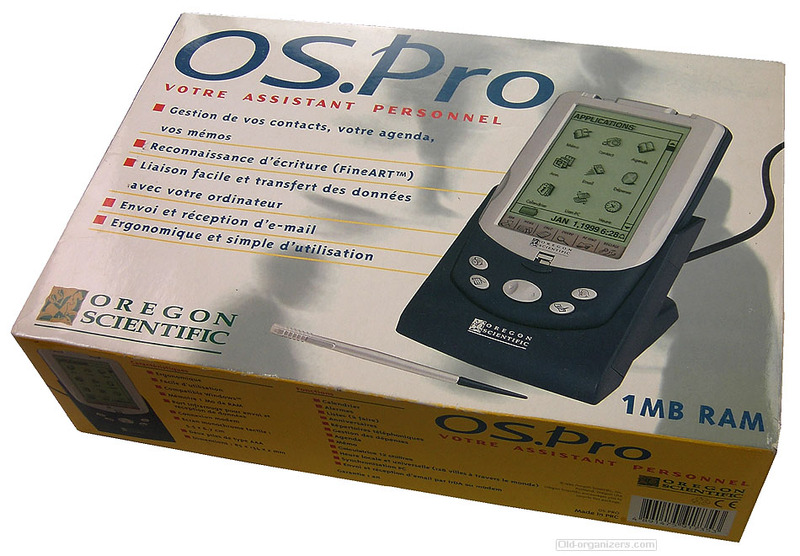 The OS Pro Elite comes with 2MB of RAM to handle the most demanding tasks for work and travel. 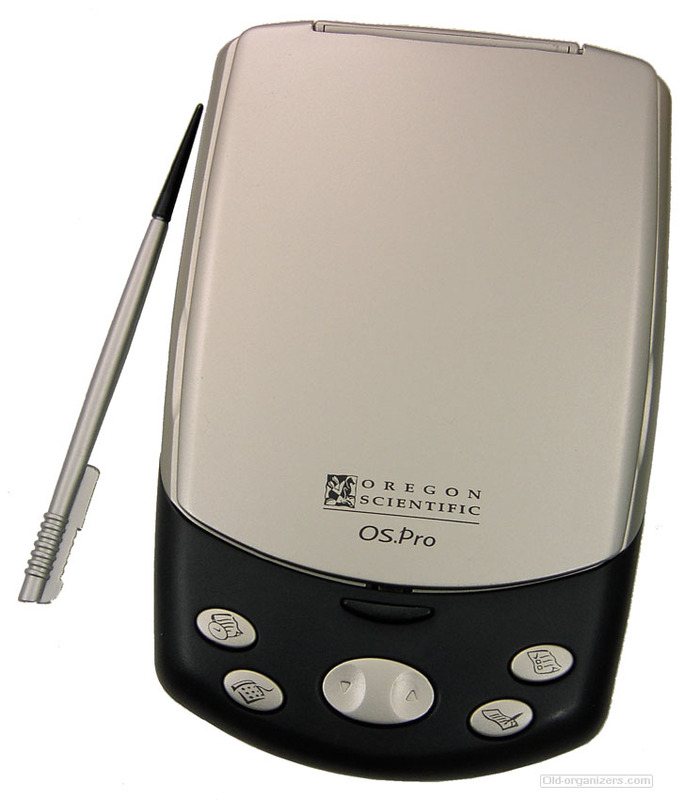 It’s clamshell design provides ergonomic comfort and fits easily into a pocket or briefcase. 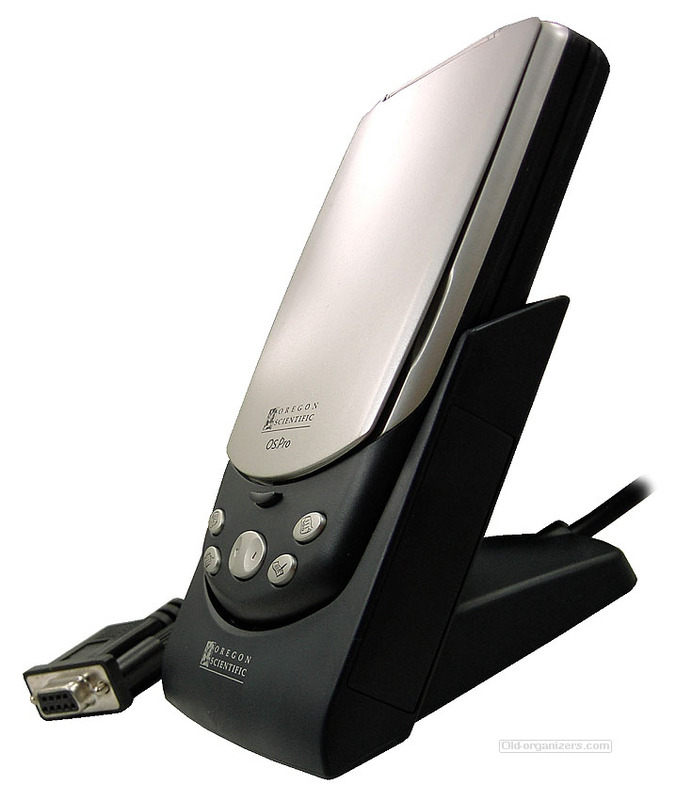 Its included docking station enables data synchronization with your Windows 95/98 PC, and its 160x200 grey-scale LCD screen is larger than competitive models and thus easier on your eyes. 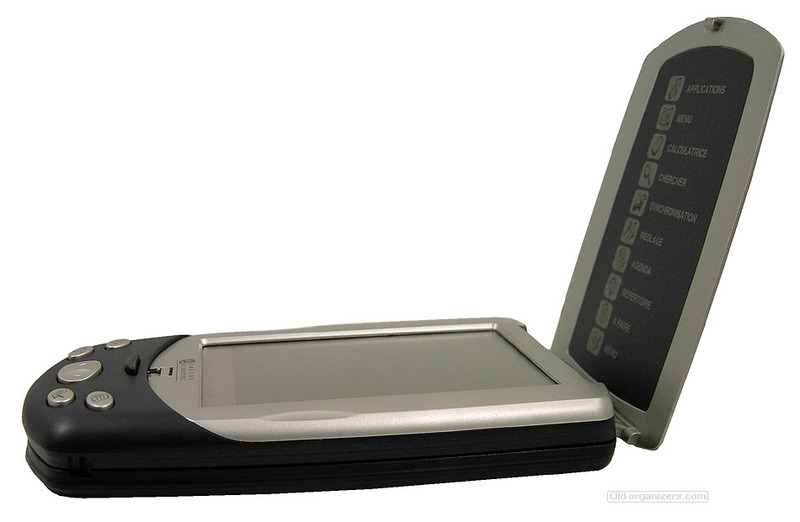 It’s touch screen helps you access and organize your contacts, appointments, to-do lists and memos. Use its preloaded fax/email software and a modem (sold separately) to get your email. Let OS Pro remind you about holidays, birthdays and anniversaries; Track expenses when you’re on the road. Includes: phone directory, calendar, anniversary reminder, alarms, to do lists, expense manager, appointment scheduler, memo pad, calculator, world clock, IrDA Infrared port, and FineART™ handwriting recognition for easy data input. Only 5 1/4" length x 3 1/4" width x 3/4" depth. 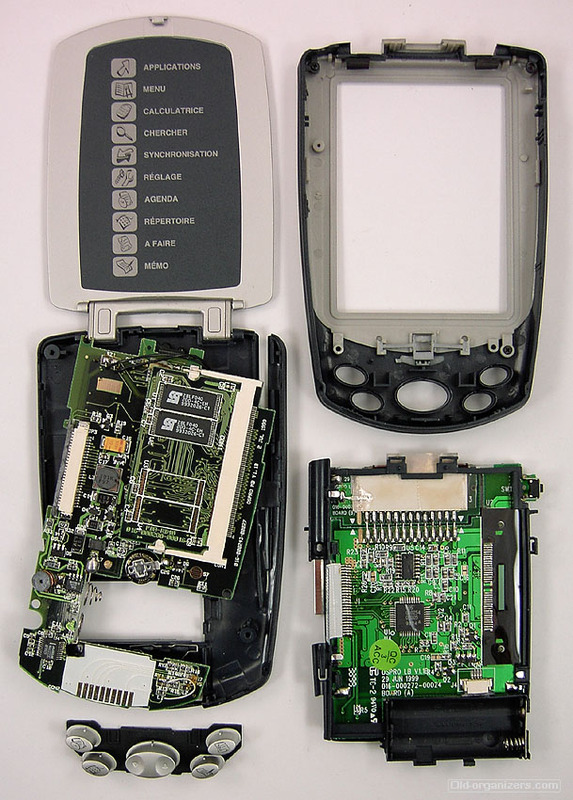 In other words, it really is very similar to the Palm PDA, and includes even more built-in functionality than the Palm. It's a little bit larger than a Palm III, but the extra size goes into a bit bigger screen. 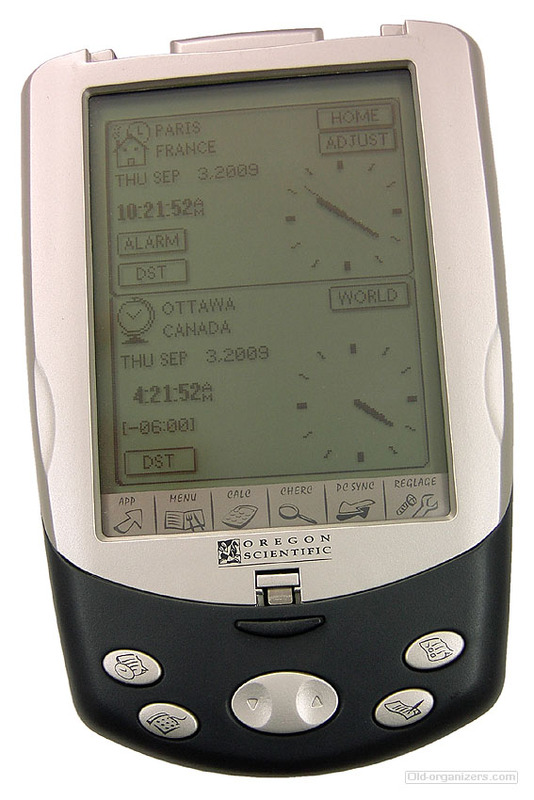 Although it's based on the same processor as the Palm, it doesn't use the proprietary Palm O/S. Therefore it can't run any Palm software. A development kit has been promised for some time, but it doesn't look like it will ever be done. Maybe the user group will end up producing a development kit on their own. It uses its own handwriting recognition, not the Palm Graffiti character set. It works about as well, but those already accustomed to Graffiti probably won't like it. 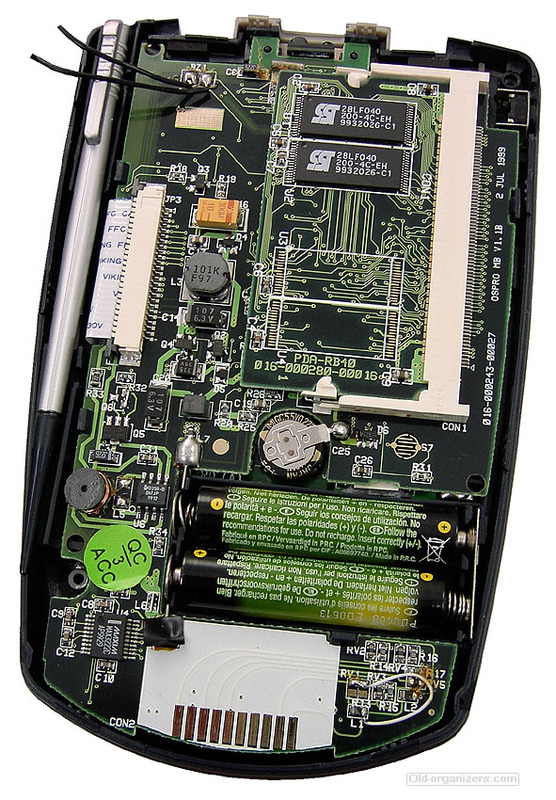 If you like the organizer functionality of the Palm PDA, and it's not important to you to be able to use 3rd-party Palm application software, the OS Pro Elite is a bargain. 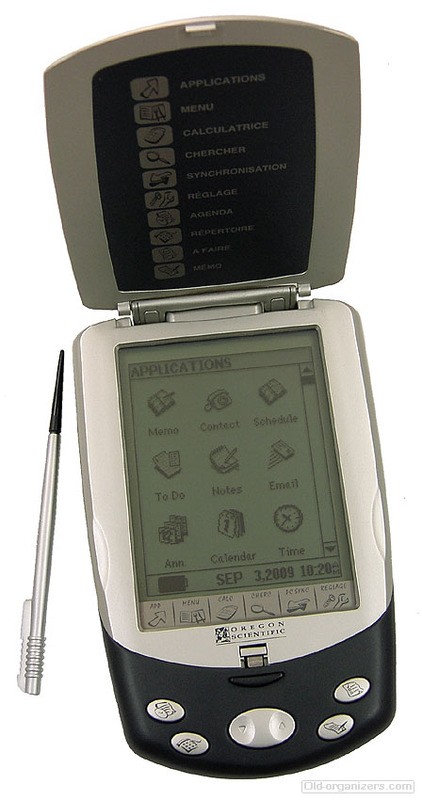 But don't expect to be able to use any Palm software.